Website development is not only our core service but it is our pride & joy, our web developers offer nothing but their best! Our website developers take great pride in their skills to offer a website development that not only represents you on the World Wide Web but can also become a business tool. Your website can even be written to communicate with other systems you may already use and wish to continue to use. Contact us today to discuss your requirements with our web developers. 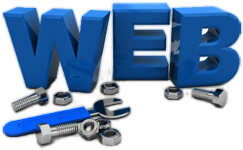 AWD Professional Web Developers - a web developer you can rely on! Our website developers utilize a variety of technologies in web development with a main focus on the ever growing PHP environment as a foundation. With a PHP foundation you can be sure of a platform independent web development which can be served from any Windows or Linux based server. Coupled with the popularity of standard formats such as XML, communicating with other systems and even languages such as Microsoft's ASP.NET framework is possible. 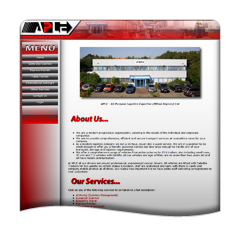 You enquire via our contact page where we can then talk via email or telephone if you prefer. Remember, consultations and quotations are FREE and you are under no obligation to buy, your in control! After our web developers have drafted your ideas and you have accepted our quote we will open a customer account for you and development will begin straight away. During development you will be able to view your websites progress via your online customer account and our web developers will keep in touch throughout the development to ensure we are developing exactly what you want. Once you are satisfied with your site and upon full payment of the final invoice you will recieve your site via disc, download or we can transfer the files to your chosen host. Alternatively you could choose one of our hosting plans. It's as straight forward as that! So enquire now to see what we can do for you!